"If immersed in a bright region, like a disc of glowing gas, we expect a black hole to create a dark region similar to a shadow — something predicted by Einstein’s general relativity that we’ve never seen before," said Falcke. "This shadow, caused by the gravitational bending and capture of light by the event horizon, reveals a lot about the nature of these fascinating objects and allowed us to measure the enormous mass of M87’s black hole." "Black holes are the most mysterious objects in the universe. We have seen what we thought was unseeable. 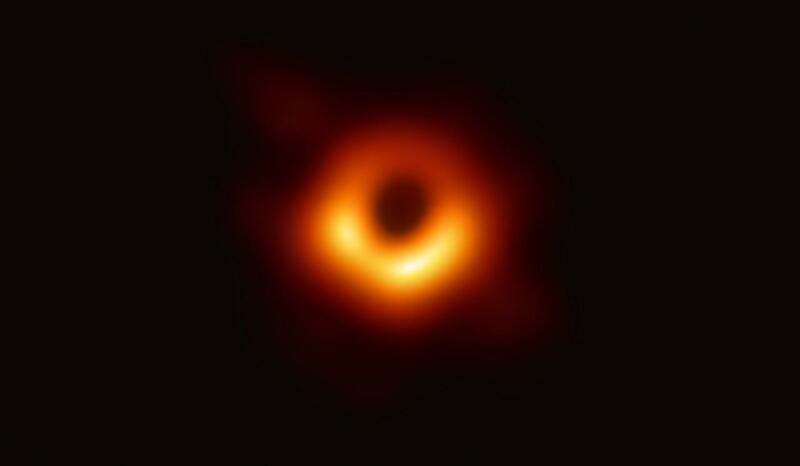 We have taken a picture of a black hole," said EHT director and Harvard University senior research fellow, Sheperd Doeleman - who led the project involving more than 200 scientists. The EHT network detects radiation emitted by particles within the accretion disc that are heated to billions of degrees as they circle the black hole at close to the speed of light - before vanishing. When EHT launched observations in 2017, the program had two primary targets; Sagittarius A - the black hole in the middle of the Milky Way which has a mass of around 4m suns. The second target was the one which yielded the image above - a supermassive black hole into which the equivalent of 6bn suns of light are estimated to have disappeared. Success meant simultaneous coordination between teams and clear skies on several continents at the same time. Observations were coordinated using atomic clocks known as hydrogen masers - which are accurate to within one second every 100 million years. One night in 2017 - the conditions were perfect. "We got super lucky, the weather was perfect," said EHT member Ziri Younsi based at University College London. 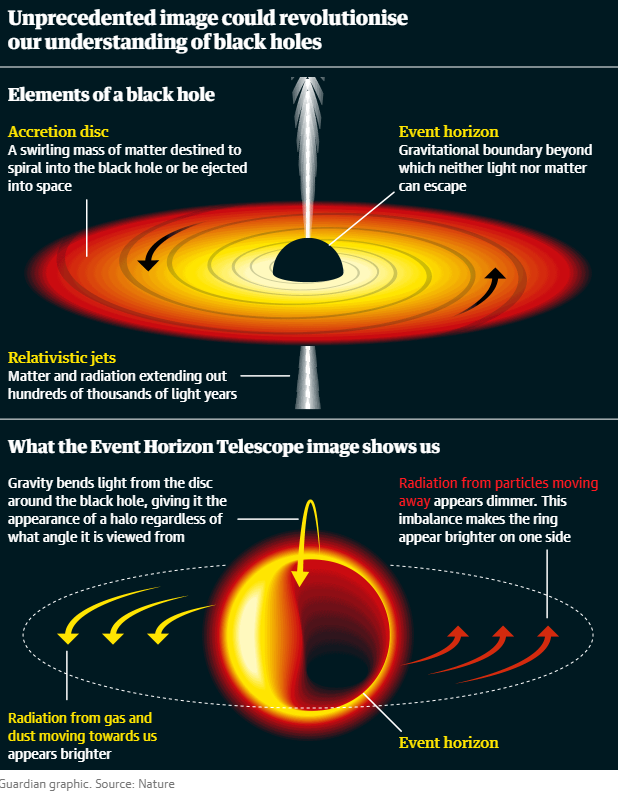 According to The Guardian, the observations are already giving scientists insights into how space behaves near a black hole - where gravity is so extreme that reality as we perceive it becomes distorted beyond recognition. EHT science council chair Heino Falcke said: "The big question for me is whether we’ll ever be able to transcend that limit. The answer may be maybe not. That’s frustrating but we’ll have to accept it."